Researchers have known for decades that whales create elaborate songs. 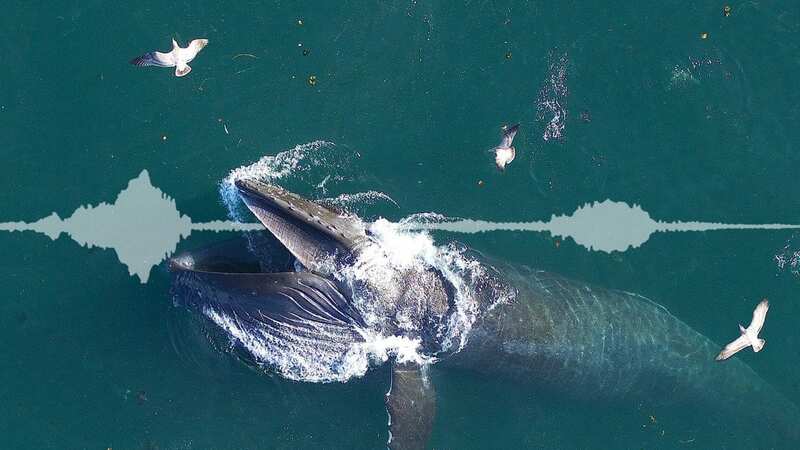 But a new study has revealed a component of whale songs that has long been overlooked—sort of a booming baseline to go along with the treble. Aboard a small research boat, a research team measured two elements of songs from a group of humpback whales off the coast of the Hawaiian island of Maui—pressure waves (the type of sound waves that push on human eardrums, allowing us to hear), and particle motion (the physical vibration of a substance as sound moves through it). To the scientists’ surprise, they found that particle motion in the water was detectable much farther than expected. Mooney and his colleagues—WHOI graduate student Maxwell Kaplan and Marc Lammers of the Hawaii Institute of Marine Biology—measured only as far as about 655 feet (200 meters) from the whales, but their data show that particle motion from the whale songs, especially in lower frequencies of sound, could travel much farther. Pressure waves are relatively simple to detect using common underwater microphones called hydrophones. Detecting particle motion, however, requires sensitive underwater instruments such as accelerometers, which until recently have not been widely used by researchers to measure sound. Mooney and his team had both sensors on hand, allowing them to collect their unexpected recordings. Mooney is quick to note that his team didn’t gather enough data to say definitively whether these whales could sense the particle motion present, but the anatomy of whale ear bones suggests that low-frequency vibrations could play a major role in whale hearing. Unlike those in dolphins and toothed whales, humpback whale ear bones are fused to the animals’ skull, providing a direct link to conduct vibrations in the water through their bones to their ears. There’s also some evolutionary precedence. Whales’ closest living relatives—hippopotamuses—can sense sound under water using their bodies, even while their ears remain above the surface. Elephants, another close relative of whales, can pick up ultralow-frequency vibrations through their feet, a trait that may help them locate their herd from miles away. The new findings also raise another concern: Increasing human activity—from shipping, seismic exploration for oil and gas, and construction using pile-driving machinery—probably increases low-frequency particle motion that might propagate for miles under water and might interfere with whale communication. The study was published in November 2016 in the journal Biology Letters. It was funded by a WHOI Independent Study Award. Singing whales generate high levels of particle motion: implications for acoustic communication and hearing?